24 months Wooden piper is a perennial climber, with a round, smooth, woody stem. It grows up to 11 ft in height. Leaves are entire, broadly ovate and smooth; color dark green. Flowers are small, white and sessile with 4 petals. Fruits globular, red berries when ripe; the surface becomes coarsely wrinkled and black in color. The plant is propagated by cuttings and grown at the base of trees with a rough, prickly bark to support them. Pepper has an aromatic odor and pungent. We have make this tutorial to show a method of designing farmlands and helping them to make organic fertilizer from coco bean, mushroom waste and palm oil ashes etc. The requirement for certified organic vegetable producers to implement a soil-building plan has led to the development of soil fertility systems based on combinations of organic fertilizers and cover crops. In order to determine optimal soil fertility combinations, conventional and organic bell pepper (Capsicum annuum L.) production was evaluated from 2001 to 2003 in Iowa, comparing combinations of two synthetic fertilizer and three compost-based organic fertilizers, and two cover crop treatments of hairy vetch (Vicia villosa Roth) and rye (Secale cereale L.) in either a strip-tilled or fully incorporated cover crop system. 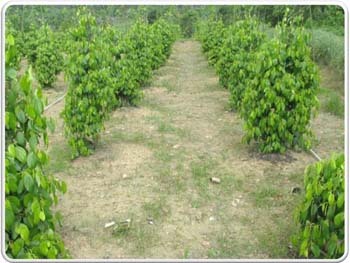 Conventional and organic pepper growth and yields were similar in the 112 kg ha-1 N synthetic fertilizer conventional treatments and the 56 or 112 kg ha-1 N compost-based fertilizer organic treatments. When strip-tilled cover crop plots were not fertilized, strip-tilled pepper yields were lower than organic fertilization alone and the incorporated cover crop treatment. Increased incidence of disease was also detected in strip-tilled plots. Animal-based and cover crop-based fertilization was effective in increasing soil organic matter and nitrogen in all organic treatments. Crop response corresponded with soil fertility results, where complete incorporation of the hairy vetch/rye cover crop increased soil inorganic N to a greater extent compared to strip-tillage. 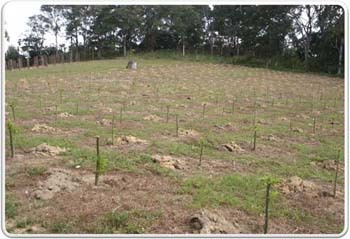 While strip-tillage of vegetables into cover crops can help mitigate soil erosion and aid in weed management, competition between vegetable and cover crop re-growth, inadequate N contribution, potential cooling of soil, and the requirement for continued strip management throughout the growing season has reduced the adoption of this system on organic farms. 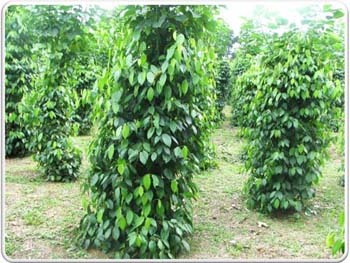 Organic fertilizers are being used in this day and time by big. Our organic farming much better and safer. 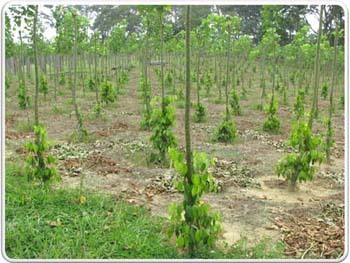 The development of Pokok Dedap roots applying organic materials like releasing nitrogen unlikely to burn your lawn. 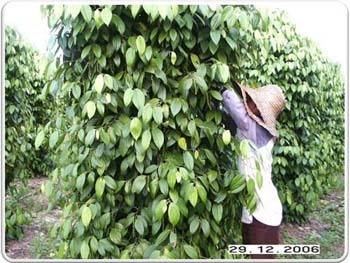 Pokok Dedap roots not only releasing nitrogen but the branches keep the woody climber moist. Cover crop is any annual, plant grown as a polyculture to improve any number of conditions associated with the baby pepper. 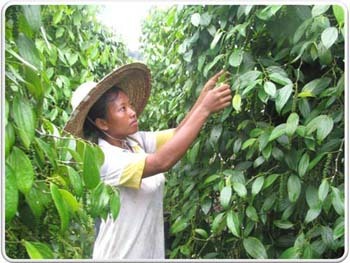 The use of coconut kernel and oil riches the crop of pepper. Palm ash alone rich in K20 (POTASSIUM) most widely organic farmers used. The fertilizer of rice and coco bean adjusted properly to the content of silicon in the soil. It may be more efficient to make organic fertilizer from farm waste rather than chemical fertilizer.